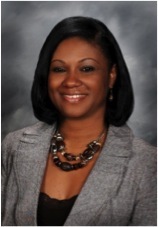 Dr. Rucker is the Assistant Superintendent for Secondary Schools in the DeSoto Independent School District . During her 20 years as an educator, she has served as a teacher, technologist, curriculum specialist, assistant principal, and Title I Supervisor. She has trained, motivated, and inspired administrators, teachers, parents and district leaders on school improvement and effective practices for educating all students across all grade levels. Dr. Rucker believes “Leadership is action not a position!” As a result, her trainings will ENCOURAGE, EQUIP, AND ELEVATE educators to drive student performance to the highest degree of EXCELLENCE. As a education motivational speaker, Dr. Rucker has traveled extensively as a one of the most profound teacher speakers and leadership thought leaders.